The Crazy Thing About Magazine Cover Wrap Marketing: It works. 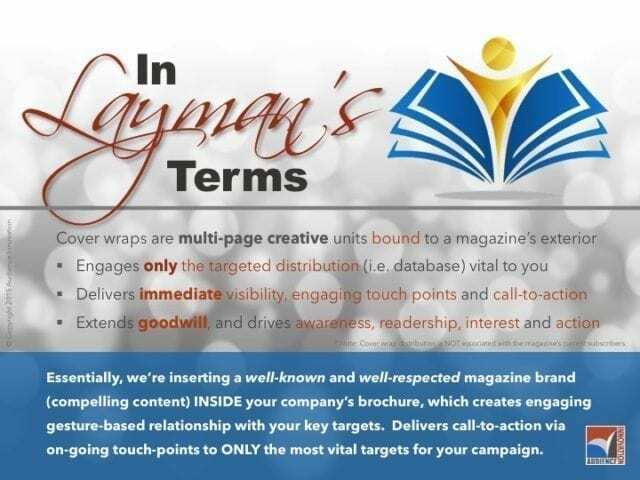 The crazy thing about magazine coverwrap marketing, as the headline says … is, it works, and very effectively for the right targets. This statement has been true for 25+ years now, and it’s even more proven today. People ask me how, and why? … it’s almost perplexing to some, at least who’ve never tried these campaigns yet. And now, with interactive too, the ability to bulk order distribution for trade shows and events, the impact campaigns engage to support a company’s sales force, and the list goes on. So many examples of success. To share just a bit, campaigns are delivered either direct-to-recipient (i.e. target, in-office or in-home), or direct-to-location (i.e. physician’s offices, dentists, nail salons, barber shops, over 200 location types in our proprietary database). 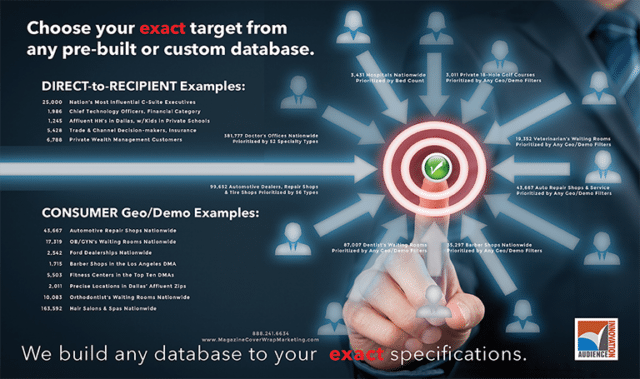 And for recipient direct targets, both B2B and AFFLUENT, it’s all and entirely about the database. For clients who have their database, that’s productive news, and for those who only have a partial database, or no database, we do the backend work to develop and/or clean your database too.